Smash.gg handles all the heavy lifting when it comes to setting up and running a tournament, league, or event. Please tell us about yourself League Organizer! Thank you! We will contact you back shortly. “Running online events and points tracking with their league feature was flexible and easy to use!" Communities are large, complex, and often go unstructured. 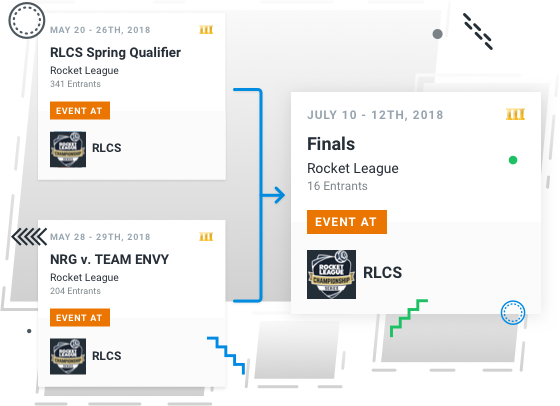 Use smash.gg league pages to connect tournaments of different sizes, events, locations into the grand finale - all under one page. Your league is a home for everyone: attendees, organizers, and fans. Filter events while they are upcoming, in progress, or complete; track standings, live stats, and players; customize page design with tables, images, video - it’s all up to what matters to you and your community. Where league pages connect a community’s events together, the organization page is your organization’s home and tournament resume. We give you the tools to manage your brand, staff, upcoming events, news, and more -- all so players, sponsors, and fans can follow the action. How can an entire community’s tournaments be a part of one league? Simple: event requests. 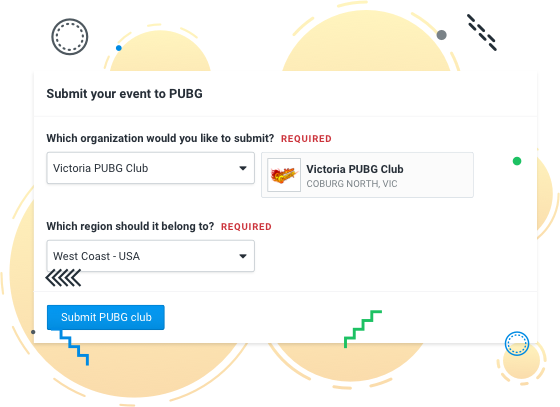 Smash.gg allows organizers to submit their events to leagues, where you can gate and tier events by event size, game, and more. We always want the merch that our attendees love, but sometimes it’s tough to do. Not anymore. 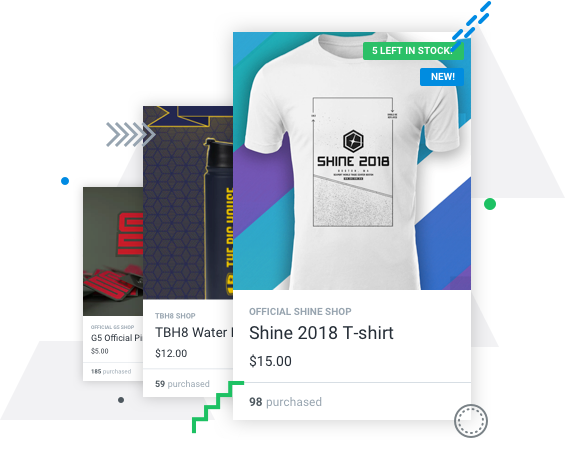 Shop creation, design, and consulting: all courtesy of the dedicated ecommerce team here at smash.gg. Want to learn more? Schedule a demo today!